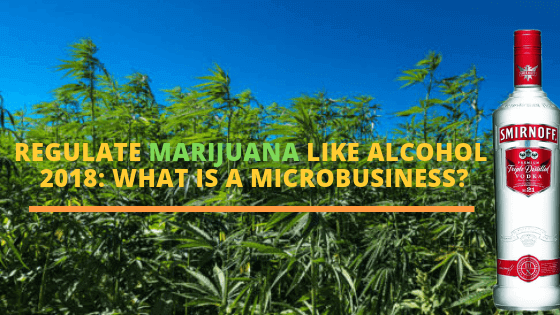 Regulate Marijuana Like Alcohol 2018: What is a Microbusiness? One of the biggest ballot initiatives planned for the Michigan 2018 election is the Regulate Marijuana Like Alcohol (RMLA) Act. If passed, the RMLA would legalize the recreational use of marijuana throughout the state for adults 21 years of age or older. The ballot initiative as currently drafted outlines who can purchase and sell marijuana products, where marijuana products may be used, how employers can treat marijuana use, and how marijuana products will be taxed. One of the biggest changes seen in the RMLA, however, is the creation of a new marijuana business entity called the “Microbusiness”. Under the Medical Marihuana Facilities Licensing Act, the state of Michigan has authorized 5 different business license types: provisioning center (dispensary); Class A grower operation for 500 plants; Class B grower operation for 1000 plants; Class C grower operation for 1500 plants; secured transporter; safety compliance center; and processor. The proposed RMLA changes the number of plants each class of growers can have (100, 500, and 2000 respectively), and adds a sixth license type called a “microbusiness”. Under the RMLA, a microbusiness is a small business licensed to cultivate up to 150 marijuana plants and process, package, and sell that marijuana directly to consumers. Unlike a provisioning center, they cannot sell marijuana or marijuana-infused products produced by other marijuana establishments; and unlike other grower licenses, they cannot wholesale their products to other marijuana establishments. The idea behind creating marijuana microbusinesses is similar to microbreweries or microdistilleries — it allows a business owner to take their process from marijuana plant to finished marijuana product without the need for additional suppliers. This new license type ensures there will always be opportunities for small marijuana businesses in Michigan, especially for microbusinesses willing to provide delivery services. Because the RMLA has not been adopted yet, medical marijuana business attorneys are still unclear on the specifics of the application process for the Michigan marijuana microbusiness and how similar, or different, it will be from the MMFLA process. However, if you are interested in learning more about the RMLA or which type of entity best suits your needs, we recommend reaching out to a Michigan medical marijuana attorney now so as to create a business plan before there is a Microbusiness “gold rush” in this already booming industry.